In the dialect of Lucca, brania is the term for the terraced plots on which the olives and vines are cultivated. 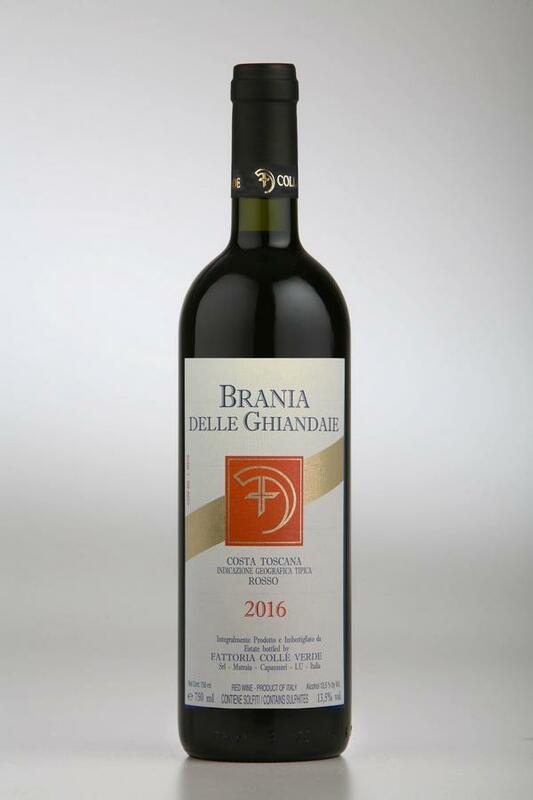 This red wine is made according to the traditional DOC Colline Lucchesi grape mix with the addition of 15% Syrah. All grapes are softly pressed with the feet, and no selected yeasts are added. Fermentation is carried out at between 30° and 32°C with a 12-15 day maceration. Immediately following alcoholic fermentation the wine is transferred to small oak barrels where it remains for around 2 years before its final development in the bottle. Plum and blackberry aromas that lead to a full body, with a long fruity finish on the palate. Ideal with roasted and grilled meats. Vineyard location: Hills of Matraia (Lucca), 150 mts a.s.l.